In 2014, we saw Apple cave in to the public's clamor of a larger-screened iPhone. They unveiled not one but two iPhones: the 4.7-inch iPhone 6 and the 5.5-inch iPhone 6 Plus. This year, Apple has announced their successors. Meet the iPhone 6s and the iPhone 6s Plus. Major changes in them include the addition of 3D Touch (enhanced Force Touch and Taptic Engine) technology, which debuted on the Apple Watch. There's also a better 12-MP iSight camera, capable of 4K video recording and a 5-MP Facetime camera. There's the new A9 chip with the M9 motion co-processor, and iOS 9, Apple's most advanced mobile operating system. And if you are wary of accidentally bending your iPhone, fear no more as the new iPhones are made with a tougher 7,000 Series aluminum. The iPhone 6s and iPhone 6s Plus have the same design as their predecessors. They are clad in metal, more specifically 7,000 Series aluminum alloy, which is sturdier than the ones used before. The Touch ID fingerprint scanner can still be found on the home button, which can be used for unlocking the phone and Apple Pay. The iPhone 6s comes with a 4.7-inch Retina HD Display (LED-backlit IPS LCD) of 750 x 1,334 pixel resolution while the iPhone 6s packs a 5.5-inch Retina HD Display (LED-backlit IPS LCD) of 1,080 x 1,920 pixel resolution. The display of both smartphones also features 500 cd/m2 max brightness, dual-domain pixels for wide viewing angles, fingerprint-resistant oleophobic coating, display zoom, reachability, full sRGB standard, and scratch-resistant glass. The iPhone 6s measures 138.3 mm x 67.1 mm x 7.1 mm and weighs 143 grams while the iPhone 6s Plus measures 158.2 mm x 77.9 mm x 7.3 mm and weighs 192 grams. As mentioned, the new iPhones now come with 3D Touch technology, which allows the device to distinguish between light, medium, and hard taps, allowing for inventive new ways to interact with apps and games. The Peek feature that can preview emails in your inbox, for instance, requires a medium touch, while pressing harder with the option titled Pop will open the message itself after previewing it, if you want to dig deeper. Aside from the Email app, Safari, Notes, Maps, and Gallery all take advantage of this new feature. 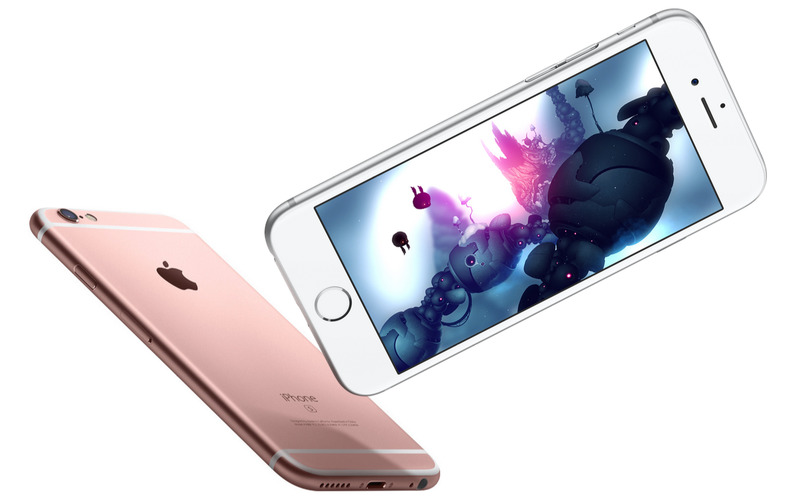 Ticking inside the iPhone 6s and iPhone 6s Plus is the new 64-bit Apple A9 chip. It is said to be 70% faster than the A8 chip and its graphics is 90% faster than previous generation. There's also the new M9 motion co-processor that is now always-on to track steps and call on Siri. The new iPhones are said to have 2GB LPDDR4 RAM, which should allow more apps and browser tabs to stay open at the same time. There will be less reloading time and multi-tasking will be much easier. Internal storage though got stuck with 16GB and still non-expandable. Good news is that you can get the 64GB and 128GB variants of the new iPhones but at a higher cost. In terms of connectivity, the new iPhones are equipped with the new Category 6 LTE Qualcomm 9X35 Gobi modem that will theoretically support speeds of up to 300Mbps. Other connectivity options include Wi-Fi 802.11a/b/g/n/ac with MIMO, Bluetooth 4.2 (transferring of files is not supported), GPS, A-GPS, GLONASS, Cell ID, AirDrop, iBeacon microlocation, and NFC. 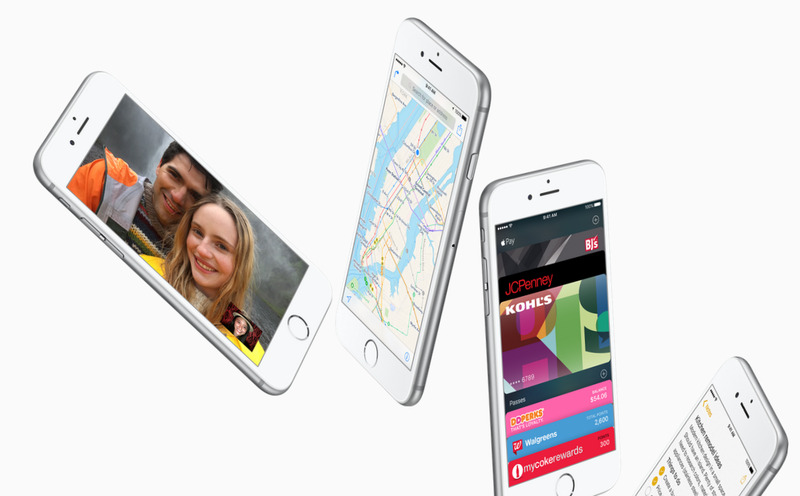 iOS 9 is the most recent iteration of Apple's most advanced mobile operating system. The interface looks similar to iOS 8 and most of the new features can be seen on the iPad. Nevertheless, the iOS 9 interface and user experience provided by most built-in apps have been improved. Siri is more intelligent than ever, able to search a wider variety of topics and delivers much faster results. With iOS 9, battery should last longer, software updates are much smaller, the UI is more responsive, and security has been improved. And with the help of the Migration app, switching from Android to iOS should be easy. Speaking of battery, interestingly, the iPhone 6s is equipped with a 1,715 mAh battery (a bit smaller than that of the iPhone 6). In terms of battery life, both the iPhone 6s and iPhone 6s Plus can last up to 14 hours on 3G (talk time), up to 10 hours on 3G, 10 hours on LTE, 11 hours on Wi-Fi (Internet use), up to 11 hours (HD video play back), up to 50 hours (audio playback) and up to 10 days (standby time). 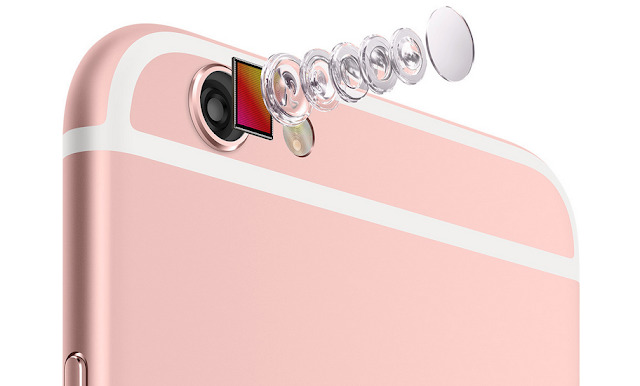 Since 2011, the cameras of the iPhone maxed out at 8-MP but this year things will change. The iPhone 6s and iPhone 6s Plus now come with a 12-MP iSight camera with True Tone Flash and a 5-MP Facetime camera. The 12-MP iSight main camera comes with an f/2.2 aperture, 1.22 microns (pixel size), 5-element lens, IR filter, backside illumination sensor (BSI), phase detection auto-focus (Focus Pixels), and sapphire crystal lens cover. It is also capable of doing panoramas (up to 63-MP), auto-HDR, burst mode, timer mode, geo-tagging, auto image stabilization, exposure control, face detection, and optical image stabilization (for the iPhone 6s Plus only). 4K video recording is now possible at 30 fps as well as 1080p Full HD video recording at 30 fps or 60 fps and 720p HD video recording at 30 fps. There's also slo-mo video support for 1080p at 120 fps and 720p at 240 fps, time-lapse video with stabilization, cinematic video stabilization, continuous auto-focus video, playback zoom, and the capacity to take 8-MP still photos while recording 4K video. 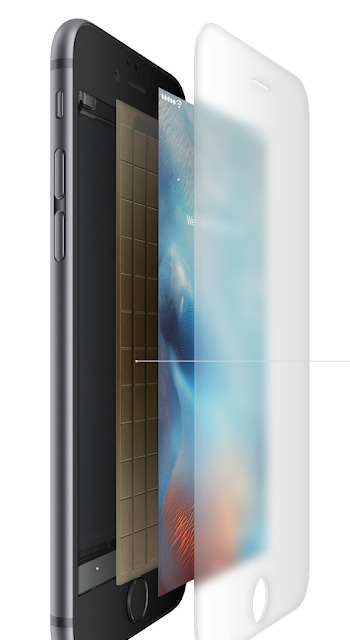 Optical image stabilization for video is only available in the iPhone 6s Plus. The 5-MP Facetime camera has also seen improvements. Aside from its higher resolution, it also features an f/2.2 aperture, auto-HDR, backside illumination sensor, face detection, timer mode, burst mode, and Retina Flash, which makes the Retina HD Display three times brighter to put you in optimal lighting, especially helpful when taking selfies. Then there is Live Photos, a feature that allows you to capture a couple of seconds of video (like GIF) with every picture that you choose, and these new live photos are played by 3D Touch-ing the still image. This new functionality will be supported by Facebook so that you can post Live Photos straight to your home page. Aside from the colors Gold, Silver, and Space Gray, the new iPhones will also come in Rose Gold. They will ship with Apple EarPods and will only accept nano-SIM cards. 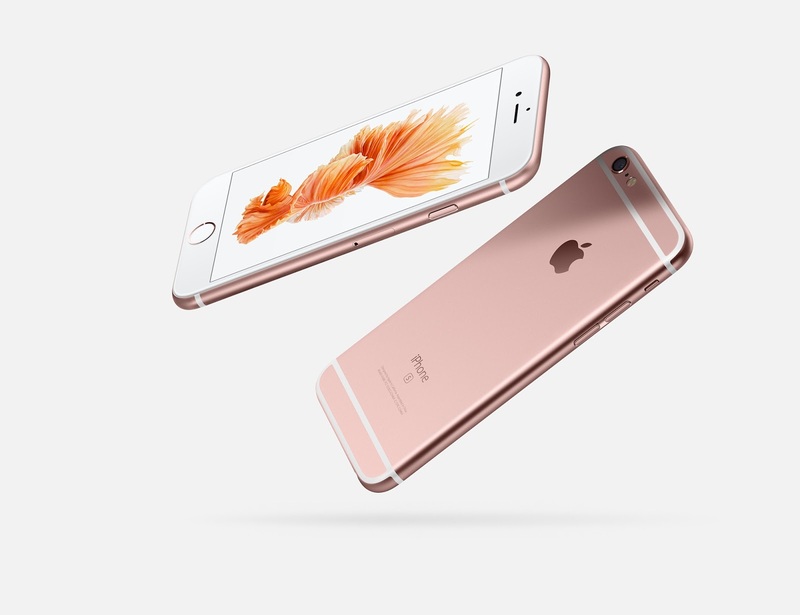 Pricing starts at $649 for the 16GB iPhone 6s and $749 for the 16GB iPhone 6s Plus. They will start shipping on September 25, 2015. Are you excited about these new iPhones? Interested in getting one?